Welcome to the Worship Ministry of First Baptist Church. There are many areas for you to plug in. Our sound and video projection areas are always in need of extra hands to maintain a quality service. If you have an interest in computers, sound, or video this is the perfect area for you to explore. We have a great choir that would LOVE to have you! Rehearsals are at 5 pm on Sundays. Our choir performs specials on Sunday morning and work hard for a Christmas and Easter program every year. The Sunday morning Worship Celebration is led by our Worship Minister Robin Landsaw and our praise team, D.I.V.A.S. for Jesus (Dedicated Individuals Voicing A Song). The praise team was created in 2006 when Robin had a vision on where our church was headed. The group has been a huge asset to our church and a great ministry to our community and surrounding areas. 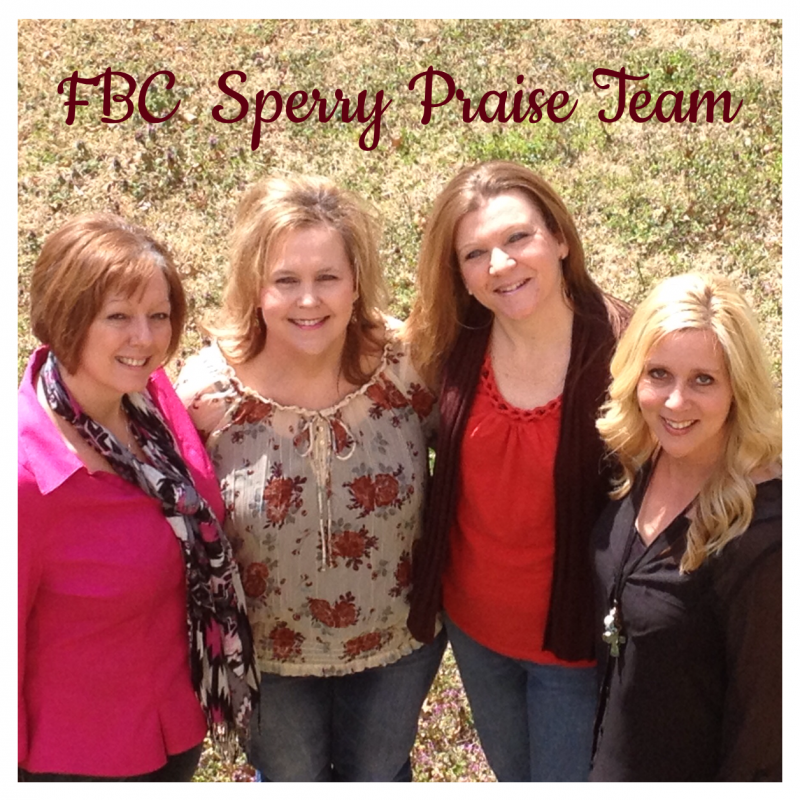 Our current praise members are from left to right: Robin Landsaw, Kelli Bradley, Melissa Dickey, and Cheryl Juby. 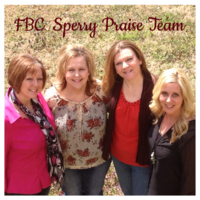 The ladies all attend FBC under the Praise & Worship leadership of Robin Landsaw. They all have different styles and taste but all agree in worshiping Jesus.